Anping Tiansheng Wire Mesh Co., Ltd.
We offer iron wire with basically three treatments: black iron wire, galvanized iron wire and annealed wire. Black iron wire, simply oil painted against rust, without any galvanizing. Black iron wire is a kind of hard drawn carbon steel wire, suitable for weaving, fencing, galvanizing or tying applications. 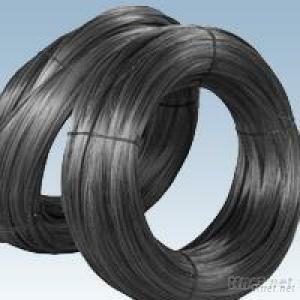 Black Iron Wire is supplied in reel, coil or cut into certain sizes or in U shape. Black Iron Wire can be galvanized into galvanized iron wire or annealed into annealed iron wire. Hardware, Metal Wires, Metal Wires/n.e.s.